2. 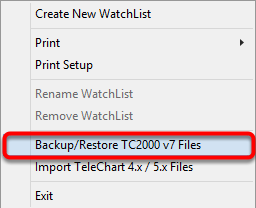 Select Backup/Restore TC2000 v7 Files. 3. 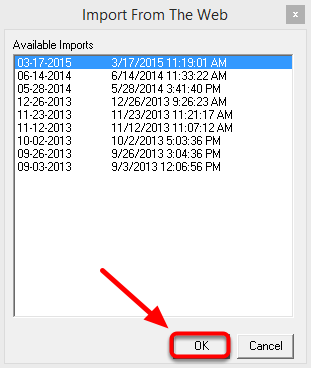 Select the Import tab. 4. 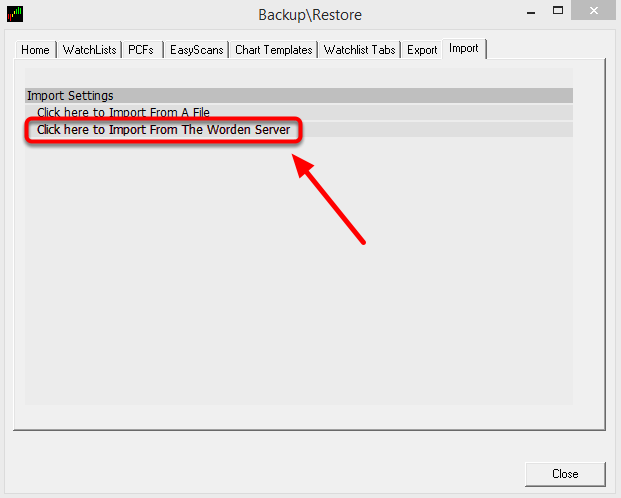 Select "Click here to Import From The Worden Server". 5. 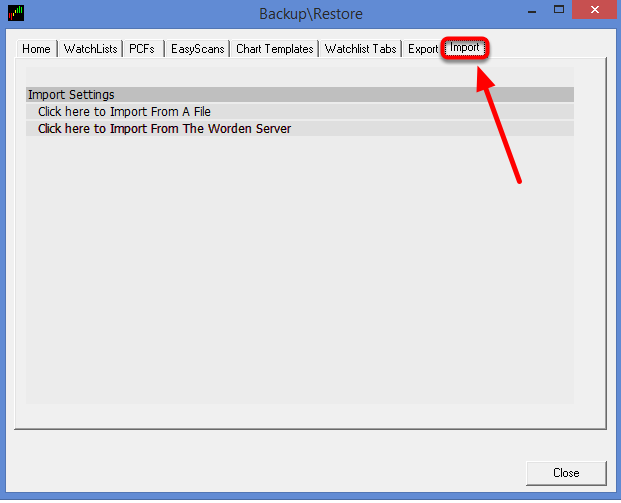 Select the File you would like to import so that it highlights in blue. 7. 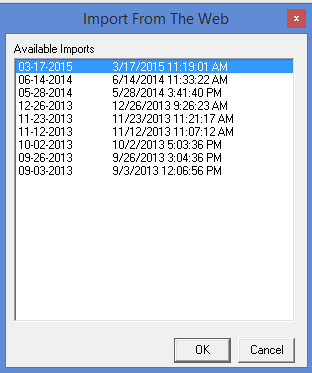 Select Import all items from this file. 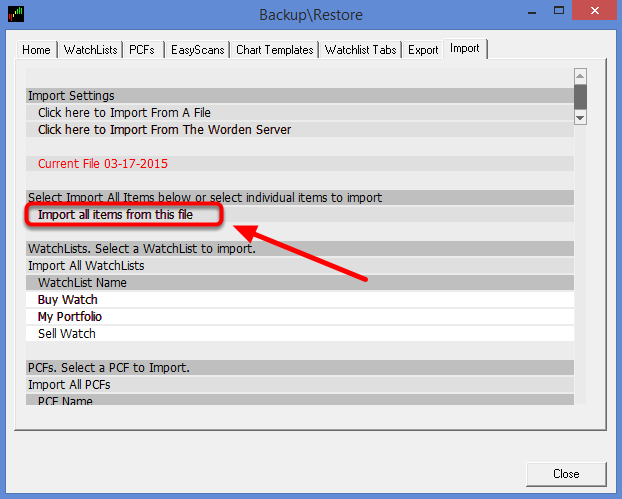 You can also choose to only import a group if items i.e. 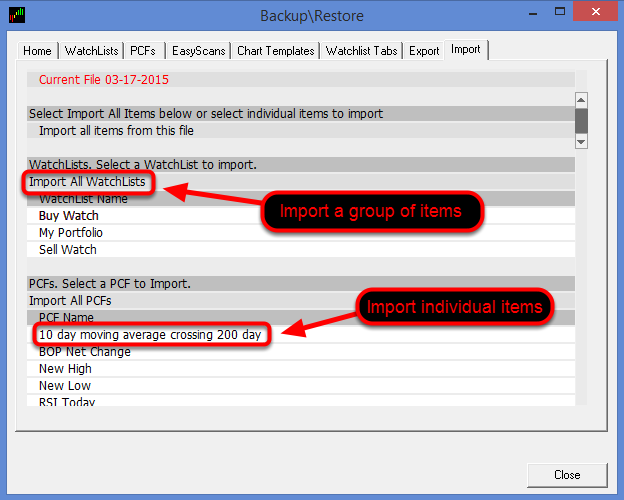 Watchlists, PCF's, etc. or individual items from these groups. 8. 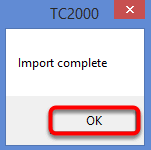 Click OK once the import completes.